Rare, is the best way to describe Turkizite, also known as Turkish Diaspore. The gemstone possesses stunning color changing properties that present hues of soft kiwi green and pink champagne. 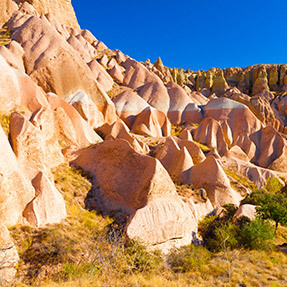 To this day, only one location, Central Turkey, produces gemstone quality Turkizite. The intensity of color changes depends on the size of the Turkizite. The larger the stone, the more intense the color change. Smaller stones will exhibit a subtle color change. Pleochroism is the evident change in color which takes place as the gemstone is exposed to various wavelengths of light. 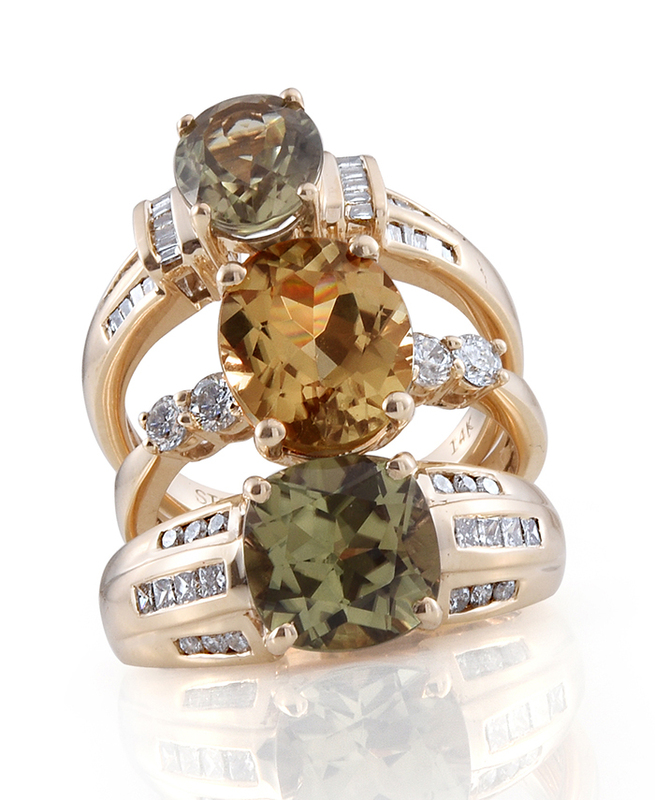 A single gemstone could present a multiple of hues: soft kiwi green, lavender-blue or champagne pink to rich dark red. The Turkizite is a 100% natural beauty, no enhancements needed. Enjoy the chameleon-like color changes throughout your day. From morning sunlight to evening candlelight, this gemstone will enchant you with its color changing hues. The highest quality specimens have excellent transparency. However inclusions are very common. The top grades are transparent and clear. • Turkizite is a 6.5 to 7.0 on a Mohs scale. • Turkizite is an attractive and durable gemstone. • Also known as Diaspore. • Comparable to peridot and tanzanite.